TA ODonoghue Solicitors | Solicitors Tuam | Tony Canney. | . T.A. 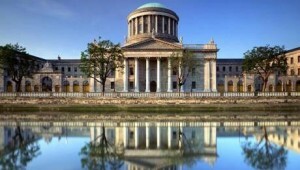 O’Donoghue and Son Solicitors Tuam are a law firm located in the town of Tuam. Our practice is varied, providing a wide range of services and legal advice to private individuals, companies, associations and clubs. Our experience covers all aspects of litigation in particular personal injury litigation, property transactions, wills, administration of estates and general court work. The firm was established in 1930 by Thomas A. O’Donoghue. His son Noel O’Donoghue joined the firm in 1958 and was acting State Solicitor from 1964 until his death in 1996. Anthony Canney joined the practice in 1978, became a partner in 1983 and has been Principal since 1996. He has over 35 years experience, specialising in Litigation as well as developing a wide knowledge of all areas of practice. Antonia Canney completed her training in a prominent Dublin law firm and joined the practise in 2002, specialising in Conveyancing, Landlord and Tenant, Probate and Family Law. Domhnall Canney joined the firm as a trainee in 2008 and qualified in 2010. He practises Conveyancing, Probate and Litigation. Paul Canavan joined the firm in 2011. The offices are located centrally in Tuam Town on the Dublin Road.